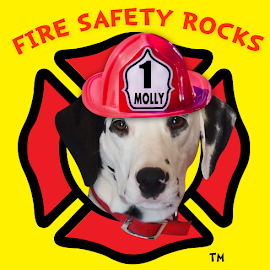 Fire Safety Rocks: Tango the Fire Safety Dog nominated for Hero Dog Award!Vote for Tango! Tango the Fire Safety Dog nominated for Hero Dog Award!Vote for Tango! Tango the Fire Safety Dog nominated for Hero Dog Award! We are so excited that Tango the Fire Safety Dog has been nominated for the American Humane Association's Hero Dog Award! Born just one month before 9/11, Tango, now ten and a half, has been helping teach fire safety to children and adults. In May 2008, Tango was given to me to help with my fire safety programming, after my dog, Sparkles, was unable to travel anymore. Tango and Sparkles were an amazing team and spent thousands of hours together, helping teach fire safety across the country, until Sparkles crossed the Rainbow Bridge in October 2010. After Sparkles’ passing, I watched as Tango became a different dog. It was amazing to see as he effortlessly assumed the role that Sparkles once had. I couldn’t believe the change in him and it gave my heart great joy as I watched him help carry on the tradition of helping save lives by helping train a new fire safety puppy, Siren. Tango has been incredibly gentle with Siren and has helped mentor Siren to grow up to teach fire safety to children and their caregivers, just like him, and Sparkles before him. Tango works hard and tirelessly to help educate children and adults through the work of the Keep Kids Fire Safe Foundation, a public charity founded in honor of Sparkles. He wants to do what he can to help prevent death and injuries from fire and I can't imagine my life without him. I am truly thankful to him for all the children he has helped keep fire safe. Thank you to the American Humane Association for selecting Tango's nomination! 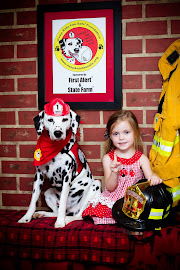 Tango the Fire Safety Dog, a Dalmatian whose efforts has reached tens of thousands of children across the United States and throughout the world with his fire safety efforts, has been nominated for the 2012 American Humane Association Hero Dog Award. Firefighter Dayna Hilton, fire safety educator and handler of Tango, announced today that she was notified that Tango’s nomination was accepted in the "Emerging Hero Dogs" category. According to the American Humane Association, "Emerging heroes category, includes ordinary dogs who you think have made an extraordinary difference in your life." Born one month before 9/11, Tango, now ten and a half, has been helping teach fire safety to children and adults in the hopes of helping save lives, reduce injuries and fire losses. 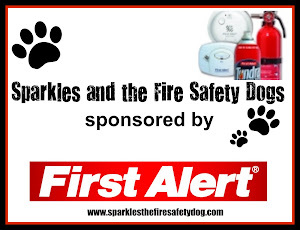 A spokes dog for the Keep Kids Fire Safe Foundation and fire service dog for Johnson County RFD #1 in Clarksville, Arkansas, Tango was given to Firefighter Dayna Hilton in 2008 to help with fire safety programming, after her dog, Sparkles the Fire Safety Dog, was unable to travel. Tango and Sparkles spent thousands of hours together, helping teach fire safety across the country, until Sparkles crossed the Rainbow Bridge in October 2010. Tango works hard and tirelessly to help educate children and adults through the work of the Keep Kids Fire Safe Foundation, a public charity founded in honor of Sparkles the Fire Safety Dog. 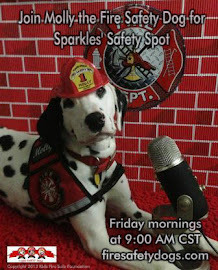 In addition to appearing at events across the United States, Tango Skypes weekly to children during Sparkles’ Fire Safety Skype Tour and participates in Sparkles’ Safety Spot, a live streamed fire safety program on Keep Kids Fire Safe Foundation’s SparklesTV. Tango also shares his adventures and fire safety tips on his Facebook page and is contributing columnist on a national column, Sparkles’ Kids Zone of Fire Engineering Magazine’s firelife.com. There are eight categories in the contest that dogs compete. They include: law enforcement/arson dogs, service dogs, therapy dogs, hearing dogs, emerging hero dogs, military dogs, guide dogs and search and rescue dogs. Winners of each category are honored on national television in Hollywood, CA. 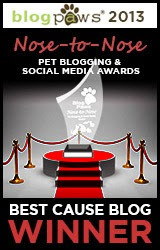 A panel of judges that include celebrities as well as dog experts will pick an overall winner. 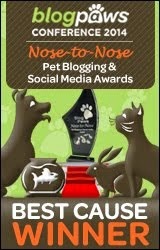 Voting for the Hero Dogs contest began April 1, 2012 and you can vote once a day. Tango’s profile may be viewed at http://www.herodogawards.org/vote/?nominee=74398282#. Voting ends June 30. You will be prompted to enter your work email address and a password the first time you vote. You may vote once per day. Keep Kids Fire Safe® Foundation is a federally recognized 501(c)(3) non-profit charitable organization dedicated to teaching fire safety knowledge and skills to children and their caregivers based on fire safety research. Through our programs, safety materials and strategic partnerships, the Keep Kids Fire Safe® Foundation aims to reduce the fire-related deaths and injuries among children. 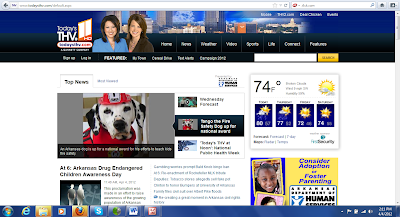 Join Tango and Hilton on KARK 4 on May 9th at 12 NOON!